Just recently, a client asked me what I knew about the human Lyme disease vaccine and why it was pulled from the market. 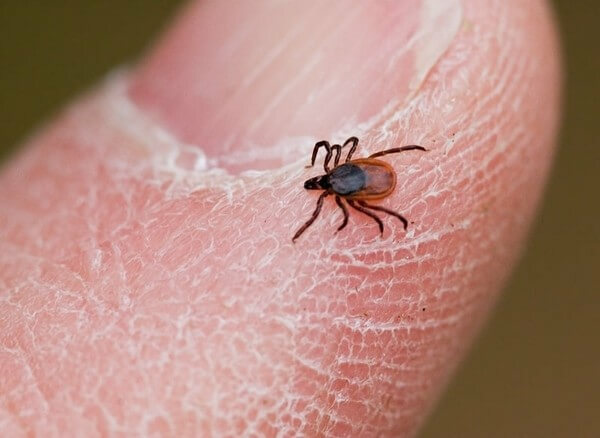 Since my veterinary hospital is located in what I refer to as the “epicenter” of Lyme disease, we frequently field questions about Lyme disease prevention and treatment. While veterinarians practice on many species, humans are one exception. I confessed to my client that I was happy to discuss the canine Lyme vaccine, but the “V” in front of my “MD” meant I had little knowledge of the human Lyme vaccine. Always happy to cram more information into my overstuffed brain, I offered to research the human product. The common perception among my clients has been that the human vaccine was removed from the market due to safety concerns; this, in turn, has led many clients to question the safety of the canine vaccine. With some inspiration from my inquiring client, I was able to determine from the CDC (a credible source, if there ever was one) that the human Lyme vaccine is no longer produced because there was not enough demand for the product. 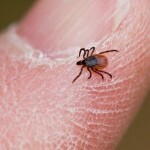 Lyme is a very regional disease, present only where the deer tick and its host, the white-tailed deer, live. For better or worse, it is understandable that this product did not have widespread demand. For those of us who practice on the front lines of the Lyme war, the canine vaccine has been an indispensable product. As a newly graduated vet, I worked at an animal hospital where the Lyme vaccine was not routinely recommended; there, I probably diagnosed two to three cases of Lyme per week! Since working at a hospital that recommends the Lyme vaccine for most of our canine patients, I now see two to three Lyme cases every few months and those are usually in unvaccinated dogs. The first line of defense against Lyme disease is excellent tick control (monthly use of products such as Frontline, Advantix and/or the Preventic Collar). However, we still see many dogs test positive for Lyme despite regular parasite control, so in endemic ares like ours, the vaccine is the second line of defense. A word about cats: to date, they have not been shown to be susceptible to Lyme disease, as dogs and humans are. Most of the tick preventative products for dogs are toxic to cats, so please read your labels carefully! And that, my friends, is a small slice of Lyme.